You are currently browsing the Archaeofacts.com archives of Musings for the day Monday, January 28th, 2019. For these first two photos, I don’t mean frozen in the temperature sense, but as sculptures. 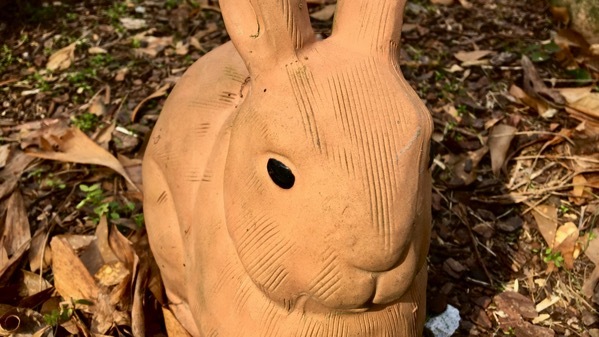 Cute ceramic bun-bun. 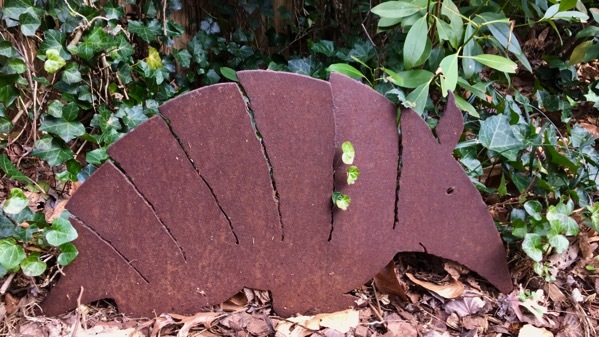 And meet Ivy the Iron Armadillo (Spanish…say arm-ah-deee-yo). 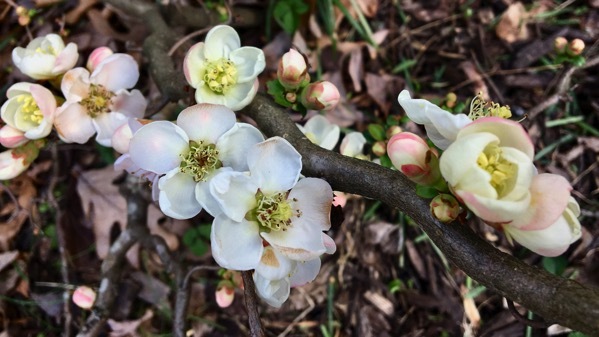 However, because actual temperature freezing is coming within 24 hours, be careful beautiful flowering quince flowers; Grumpy Old Man Winter will be here very soon!